It is a piece of technology that helps dentists to visualize tissue changes that could be associated with oral cancer. It’s called the VELscope. It’s safe, painless and takes less than 2 minutes. 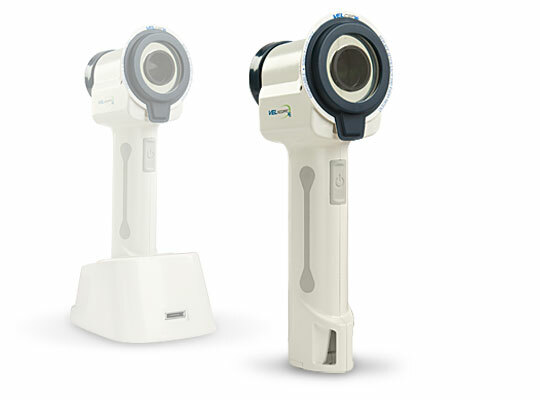 The VELscope emits a harmless, bright blue light which is used to inspect the mouth and tongue. The device is sensitive to abnormal tissue changes and the distinctive blue light causes the soft tissue of the mouth to naturally fluoresce. Healthy tissues fluoresce in distinct patterns that may be visibly disrupted when tissue undergoes an abnormal change, such as when associated with oral cancer. Fluorescence visualization can help draw the attention of the clinician to abnormalities that might otherwise not be apparent or visible to the naked eye.